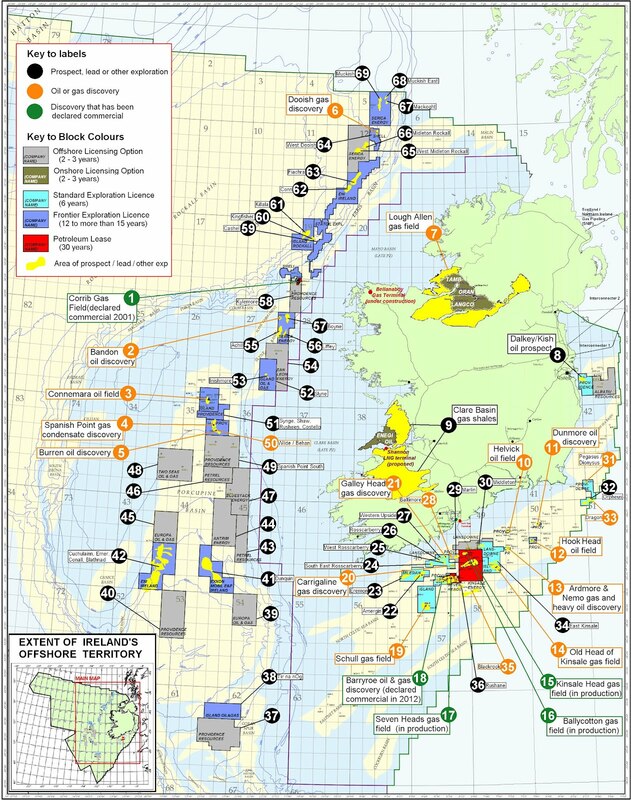 According to Dublin Shell to Sea "The figure is contained in a groundbreaking new report that reveals a more complete picture of the extent of exploration in Irish territory and exposes the State’s failure to effectively manage Ireland’s natural resources. By trawling through figures published by oil exploration companies, researchers compiled companies' estimates for a total of 69 different discoveries, “prospects” and other areas licensed for oil and gas exploration. The combined total of those company estimates is 20,964 million barrels of oil equivalent (of oil or gas), worth €1,600 billion at today’s prices. 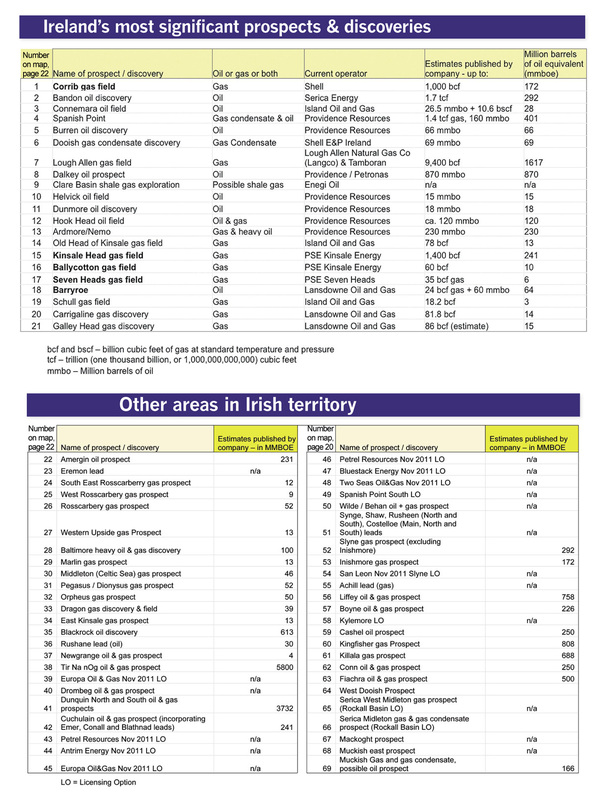 The research is presented in the form of a map and tables in a major new guide to the issues, ‘Liquid Assets’.